WODProof is your ultimate qualification video and community driven application. WODProof allows you to record your training, customise and share with our community. Improve your performance with access to our worldwide library of athlete’s training videos. WODProof developed out of our personal need as athletes. When we recorded a video for a qualifier, we had to physically put a stopwatch on the floor, running simultaneously with the camera recording the athletes’ performance. From that day we’ve been on a journey to make our dream come true; to make our lives easier and to make our qualifications videos look as professional as we are. WODProof version 1.0 went live in January 2016 as a Beta version. We’ve tested and optimized WODProof, focusing on the base need of every athlete until we produced the most stable and reliable application for our community. Almost 8 months later, the WODProof team was born. Supporting our vision, we were joined by Amanda Franden, Thuri Helgadottir, Marcus Filly, Tia-Clair Toomey and Patrick Vellner – representing the fittest and most elite athletes in the world. They were excited to take part in designing a platform to record, test and analyze their daily workouts and submit their qualifiers for the biggest competition in the world. Over time, with a combination of feedback from our community and the WODProof team, we came to the realization that WODProof 1.0 was only the beginning. After 2 years of research and development, we finally launched WODProof 2.0. It’s everything you’ve ever dreamt of. Adam has been an athlete since day one. from basketball to Enduro motorcycle racing, his youth was spent in a competitive pursuit excellence. At the age of 18, he was drafted into army service. Drawing on his passion for competition and discipline Adam rose to the rank of captain in the special forces commando unit.Under his leadership, his team earned the title of top team in the unit. After 5 years in the army, Adam began his Computer Science degree and joined CrossFit for the very first time. 6 month later, signing up for the 2015 CrossFit open he officially started training as a competitor. This was his first encounter with the complex recording standards involved. Competing in worldwide competitions as both an individual and team member he achieved competitive experience. Adam’s friend, team member and coach, Alexandra and he, understood that there had to be a better way to submit qualifications videos. 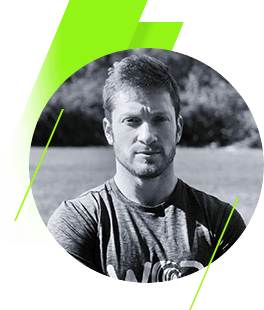 Using WODProof, analyzing every Open workout, learning from performances and achieving improved scores, in 2017 he and his team qualified for the Meridian regionals and I was even ranked 3rd fittest in his country. Adam’s strength is his engine, studying his performances through WODProof, allowed him to be a better “pacer”, knowing exactly when to hold back and when to push. Alexandra Bessonova, a proud Co-founder of “WODProof app inc” and a CrossFit addict. Alexandra is a BA Graduator of biotechnology at the Kiev “National University of Food Technology”, but didn’t stop there. She continued her studies at the “Wingate Institute of Sport” where she successfully accomplished another degree in sporting management and as a fitness instructor. Later on, Alexandra found her passion for CrossFit, managing a competitive CrossFit life participating in many CrossFit tournaments around the world, while being a box owner herself. As a sportswoman, Alexandra well understood the need of using video for better and more professional training and coaching. Nevertheless, felt deficient with the limitations and shortcomings of current video principle. Alexandra quickly associated with Adam to commence “WODProof“.